Following are some articles of interest about being bilingual/multilingual and the myths that have arisen about a phenomena that is representative of nowadays societies. Myths and Facts about Bilingualism, University of Texas, Austin. 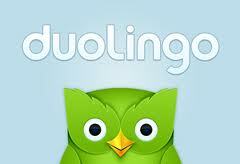 Duolingo is a web site that teaches you Spanish while translating into your native language. The ability to mix two language while speaking has been found in a large number of bilingual and trilingual societies. Check out this video of a naturalistic code-switcher mixing Spanish and English.